Acne is no joke. While we might find humor in naming the giant zit on our forehead or a pimple that’s sure to accompany an upcoming deadline, serious acne is no laughing matter. Achieving clear skin isn’t as simple as just washing your face more thoroughly. 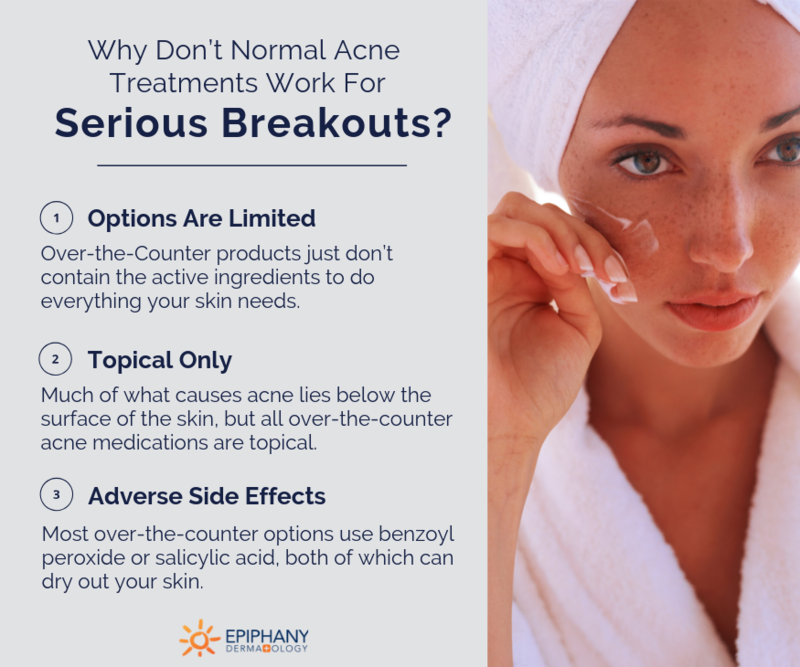 With serious acne, you’re dealing with different types of breakouts in different areas that need different treatments. If you’re facing not-so-clear skin, here’s what you need to know about how to get rid of bad acne. There’s a difference between having an occasional pimple and having really bad acne. Pimples pop up overnight and disappear in a few days. Acne never seems to fade, leaving lifelong scars even after the individual breakouts have cleared. Patients with acne deal with a combination of pus bumps, blackheads, cysts, discoloration and sometimes even true scarring. Pimples can pop up anywhere, but severe acne only affects three areas: face, back, and chest. You can have it in one, two, or all three places. The seriousness of acne depends on how you feel about it. If it’s impacting your life, your relationships, and your self-image, it’s serious enough to treat. Some people with moderate acne are really bothered by their breakouts. Others with more severe acne may not think much of it. Our goal is to provide the best acne treatment tailored to individual needs, so our patients get the clear skin they desire. Acne doesn’t discriminate. It affects men, women, teens, adults, and sometimes younger children. People mistakenly assume only teenagers get acne. Yes, teenagers are primed for pimples with their changing hormones and increased oil production, but acne can affect anyone, regardless of age or gender. Often, acne appears because of a hormone change. For teens, their hormone surges lead to increased oil production, which clogs pores and causes blackheads. 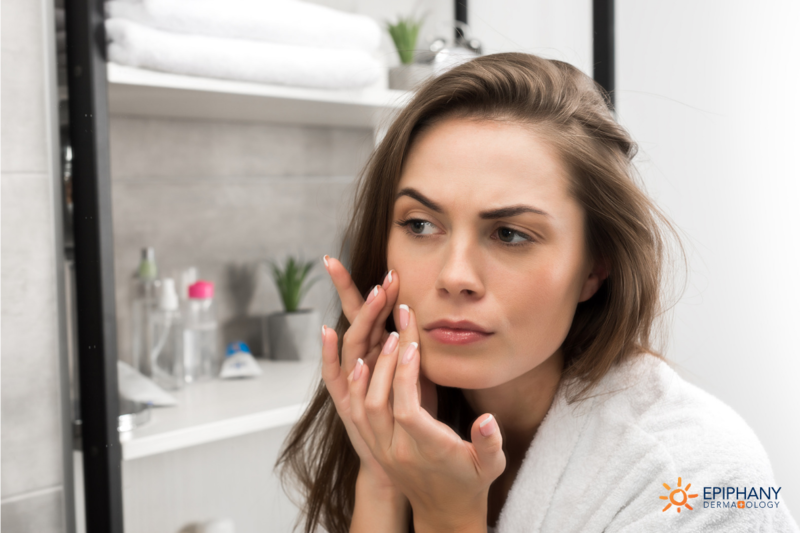 For adult women, when hormones fluctuate, they may experience a sudden onset of acne — even if they never experienced acne as a teen. Those same fluctuations cause cyclical monthly flares as well. Why Don’t Normal Acne Treatments Work for Serious Breakouts? To combat your breakouts, you’ve likely tried tons of drugstore acne medications. But they didn’t work. Over-the-counter options are limited — they just don’t contain the active ingredients to do everything your skin needs. These products only address part of the problem. They either aim to dry out the skin or limit bacteria. Sometimes, you’ll see improvement initially, and then the medicine suddenly seems to stop working. Other times, these OTC acne treatments just irritate the skin and can cause the acne to become redder and more inflamed. Another challenge is that much of what causes acne lies below the surface of the skin, but all OTC acne medications are topical. The problems of inflammation and over-production of oil happen deep in the skin while these medications only treat the tip of the iceberg. Over-the-counter acne treatment options aren’t necessarily bad, but they’re only one way to treat your symptoms. Most OTC options use benzoyl peroxide or salicylic acid, both of which can dry out your skin. Prescriptions give us many more ingredient options that address multiple facets of acne and limit the adverse side effects of treatment. Your dermatologist has access to oral medications that deal with the deeper problems too. The best acne treatment plan targets what’s problematic on the surface of the skin, including marks left from old breakouts, and what’s causing the acne under the skin. Acne treatment doesn’t have a one-size-fits-all solution. As we determine the best acne treatment for each person, we first look closely at their skin to determine the cause of the acne. We can usually tell if the breakout is caused by hormones, surface bacteria, clogged pores, or inflammation. Based on each person’s individual needs, we choose from prescription topical creams, anti-inflammatory pills, and hormonal control pills to best address their specific acne. Then we come up with a personalized regimen of cleanser, topical medication, and pills for the patient to use regularly. Is it the right time for a personalized acne treatment plan for you? If you have acne that bothers you, the answer is yes. Come talk to us and let us help you navigate the over-the-counter jungle and discuss available prescription options to clear it up. Is Your Child Too Young to Start Acne Treatment? If your child is starting to get blackheads early on, we can help them establish a good skincare routine. We can help them understand how to take care of their skin, what things to look out for, and talk about what we can do if their acne gets worse in their teenage years. Are You Too Old to Address Acne Problems? If you’re an adult navigating acne for the first or second time in your life, come see us. We’ll look at the source of the problem and come up with a plan to provide you with the best acne treatment. The causes of your acne may not be the same as they were when you were a teen — or maybe you never had to deal with it before and have no clue where to start. What’s the best acne treatment for your skin? One that works. Taking care of your skin can seem overwhelming, so we’re here to help you every step of the way. If you have any type of acne, it’s always a good idea to talk to a dermatologist. Together, we can determine a treatment plan that fights serious breakouts and gives you the clear skin you deserve. 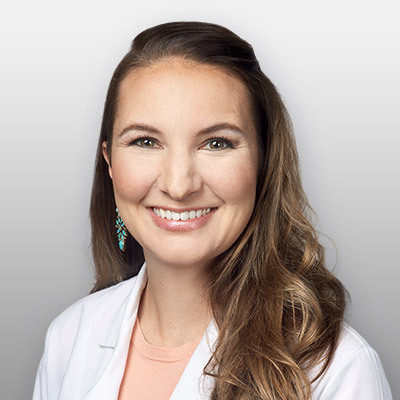 Kerbi Elsenbroek is a board-certified physician assistant in Keller, TX. Kerbi has worked in dermatology since 2011 and is a Diplomate member in the Society of Dermatology PA’s (SDPA). She is also a member of the American Academy of Physician Assistants and the Texas Academy of Physician Assistants. In her spare time, she enjoys traveling, sports, spending time outdoors, staying active, and volunteering through her church. Learn more about Kerbi Elsenbroek.